KUCHING: The step taken by Sarawak Government in placing rabies outbreak under State Disaster Management Committee reflects the government’s seriousness in tackling this issue. Chairman of State Disaster Management Committee Datuk Amar Douglas Uggah Embas said rabies outbreak was categorised as a disaster so that government resources could be mobilised in a coordinated way between all the relevant agencies. Uggah, who is Deputy Chief Minister stressed that the government had swung into action immediately after the first case was detected and confirmed. “The first Rabies Positive Human case reported was on the June 30, 2017. The first rabies positive cases in animal was in July 4, 2017. The Sarawak State Disaster Management Committee (Rabies Outbreak) had its first meeting on the July 4, 2017 after positive cases were confirmed in humans and dogs. “Operation room was activated in Wisma Bapa Malaysia (centralised operation room), manned by State Disaster Management Committee, comprised of Department of Veterinary Services (DVS) Sarawak (Rapid Action Team, Surveillance, Vaccination, Animal Rabies Laboratory testing), and at the Sarawak State Health Department (Crisis Preparedness and Respond Centre (CPRC), Dog-bite clinics). In areas affected by Rabies, the Residents and District Officers are also on the ground,” he stressed. Uggah noted as of Aug 27, this year, a total of 75,544 animals had been vaccinated. Of the figures, 69,327 animals had their first dose of rabies vaccine, and 6,217 animals were re-vaccinated in the whole of Sarawak. “This animals were vaccinated by Department of Veterinary Services Sarawak that were provided free. The figures excluded those vaccinated by private veterinarians. Throughout the state, anti-Rabies Vaccination of dogs has been on going almost every day and mass vaccinations on weekends in areas with high dog population. “A total of 146 mass vaccinations were carried out throughout the state up to this date and there is no let up as alleged by YB Chong (Chieng Jen). Even our YAB Datuk Patinggi, Chief Minister attended our mass vaccination programmes,” Uggah said, in an apparent response to the DAP Sarawak chairman accusation widely published in the media today. Uggah revealed that the Department of Veterinary Services is currently doing the second round of booster vaccination in the 650-kilometre (km) immune belt bordering Kalimantan, Indonesia to protect local community dogs in the state. “Similarly, booster and new vaccinations are carried out in the buffer zone of Sibu division to prevent spread to other parts of Sarawak. Veterinary surveillances are being conducted at all major entry points,” he said. As rabies is included in National Animal Disease Control and Eradication Programme, Uggah said the Department of Veterinary Services in Putrajaya is assisting the state by providing veterinary officers for surveillance, supply of vaccine, conducting rabies testing at the Veterinary Research Institute and training for the setting up of the state’s own rabies testing facilities. Uggah also revealed that as of Aug 7, this year, all tests for rabies were conducted in the state’s own veterinary diagnostic laboratory, adding that this had facilitated the deployment of the state’s Rapid Action Team to outbreak areas. He said that sending of samples to Ipoh for verification will cost Sarawak RM1,500 for each sample. Uggah also said that there was a gap in supply of rabies vaccine and personnel from Federal DVS. “We were informed by the Director General of DVS Malaysia on June 7, 2018 that there was no fund for sending their personnel to Sarawak, and requested DVS Sarawak to purchase vaccine using state fund. Subsequently, we requested fund from YAB Datuk Patinggi, Chief Minister who immediately approved the fund. That has enabled us to continue providing free anti-rabies vaccination. The support services from Federal DVS only resumed on Aug 15, 2018,” he explained. “For effective rabies control, engagements with the public and pet owners are crucial. Responsible pet ownership including vaccination, and neutering of their pets which would drastically reduce the number of dogs and cats that could end up being abandoned and becoming strays. “Other equally important activities that are ongoing include awareness campaign through the social media, printed media, radio stations, official webpage, and various campaigns throughout the state. We need public support in our effort to eradicate rabies,” he said. 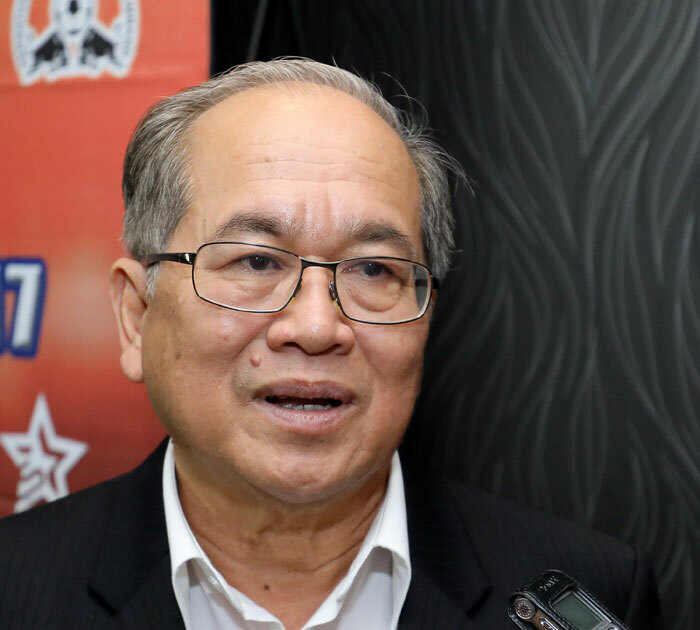 Uggah reiterated that Sarawak views this rabies outbreak very seriously and spares no effort to control and eliminate this disease in the shortest possible time. “So far, the state government has spent more than RM20 million in direct cost to combat this disease. We welcome sincere and constructive suggestions and views from any group, experts and individuals in our effort to control this disease,” he concluded.